Whether it’s clothes, electronics or musical instruments, everything we own will likely require packing, transporting and storing at one time or another. Self-storage units are growing in popularity as a convenient, climate-controlled place to securely store a vast range of belongings, for both short and long term. Here at Vanguard, we’ve put together the ultimate glossary to teach you how to pack and store a vast array of objects – ensuring you keep them in immaculate condition for years to come. If possible, try to keep batteries in their original packaging, and leave the plastic caps on any 9v ones until it’s time to use them. Keep all batteries in a dry, cool place. Store all batteries with the negative and positive terminals away from each other to prevent conduction and therefore power drainage. Books are delicate and should be kept in well-ventilated places away from direct sunlight and windows, and in places that maintain a steady temperature. Don’t bag up books as this encourages mould and mildew – instead pack them in acid-free archival boxes that are fit as closely to the books’ shape as possible. Place any unboxed books on sealed wood, as unsealed shelves may emit acid vapours that can damage books. Wash and iron your clothes first before packing them in clean, airtight plastic containers with lids. If storing your clothes for a long time, use natural wooden cedar balls to keep your clothes smelling fresh. Ensure your chosen storage facility is clean, cool and dry. Wrap your Christmas lights around cardboard to prevent tangling – your future self will thank you. Dust sheets or shrink wrap work well for artificial trees, and then pop it back in its original box. Separate baubles by colour and place into clear, sealable bags. There are many creative ways online to hang and store ornaments to prevent damage or crushing e.g. egg boxes. Extremely important documents, such as birth certificates, should be placed in a lockable, fireproof box. Store documents in acid-free boxes, and pack as densely as possible. A dedicated document storage facility will be able to offer extra services including shredding, categorisation, delivery and much more. A humid-free and temperature-stead environment is essential for document preservation. Begin by washing duvets and bedding and vacuuming them. Then place the bedding inside a vacuum-sealed plastic bag – this will save space and preserve its quality. Keep bedding in a place that has stable temperature and low humidity. Remove any cables and small batteries to prevent leaking during long-term storage. Place sachets of silica gel with the electronics to soak up any moisture in the surroundings. Clean and disassemble your furniture for easy transportation. Sturdier items should be swathed in cloth sheets or blankets – this will protect the items from dust whilst allowing air to circulate. Place the furniture into climate controlled storage, leaving enough space between items to make removal easy. Purchase a case for your guitar if you haven’t already, preferably a hard case. Transport the instrument with care and don’t allow it to be knocked about or have weight put on top of it. Ensure the guitar is kept out of extreme heat and humidity, as this could warp the body. Gemstones can scratch easily, so wrap jewellery items individually with fabric and place them in their original pouch – ask a jeweller for advice, if in doubt. Place extremely valuable jewellery or watches in a locked box for security reasons. Tape an ‘X’ across the glass of the mirror, ensuring the tape fully reaches into the corners – should an accident happen, this will prevent the glass from shattering into multiple small shards. Fit corner protectors, and place a layer of styrofoam and cardboard over the mirror surface. Insert the mirror into a close-fitting box. Always store mirrors in the upright position. Give your mattress a clean to get rid of dust and mites. Wrap your mattress in plastic to guard it from staining and moisture. Always store a mattress flat – storing it on its side may distort the shape. Wrap the painting in plastic, bubble wrap or a blanket. Secure tightly with packing tape. Then pack the painting in a close-fitting styrofoam box, and then inside a cardboard box. Store artwork separately, not in a big pile. Avoid places with high heat and sunlight. Artwork can degrade if neglected, so ensure you take your paintings out for an occasional airing. Always dust your pottery or ornaments first, perhaps giving glazed items a gentle wash.
Place the ornaments in a box lined with bubble wrap. When putting ornaments into self storage units, ensure delicate ornaments are never placed below heavy boxes. Clean as much as you can before storage, and dry thoroughly. Because there are so many types of sporting equipment, each will have their own requirements. It’s therefore important to thoroughly research the individual care your equipment requires. Place stuffed animals into vacuum bags which will protect them from bugs, temperature and humidity. Storage units play the same role as vacuum bag, by protecting the items from temperature fluctuations – if using a unit, simply pop the toys into a bin bag and seal at the top. Bundle and bind long-handled garden tools together to prevent toppling. Drain any power tools of gas or oil before storage, and remove the attachments. Ensure any sharp tool edges are covered up with adequate wrapping. Slot records inside their original sleeves, and source a record case to place them in. Aim to store them vertically – avoid laying them flat in a pile. And most importantly, keep them in a cool, dry place such as a climate-controlled storage unit. 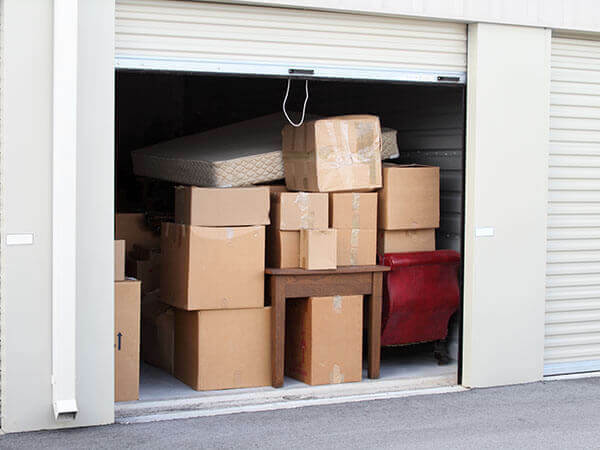 For more advice on packing your items for self storage, look at our guide, including advice on how best to stack your belongings and more. And for general self storage tips and tricks, check out this article! If you’re searching for state-of-the-art storage facilities across London, Manchester, and Bristol, look no further than Vanguard. Established 50 years ago, we’re a trusted self storage provider, offering a broad range of climate-controlled, secure units that are kitted out with 24/7 access and CCTV systems. Get in touch to discover more.